When you get a higher degree in your field, you generally raise your earning potential. One of the other perks is that you can afford to be slightly less flexible with your location desires, since you are likely to receive more job offers no matter where you live. 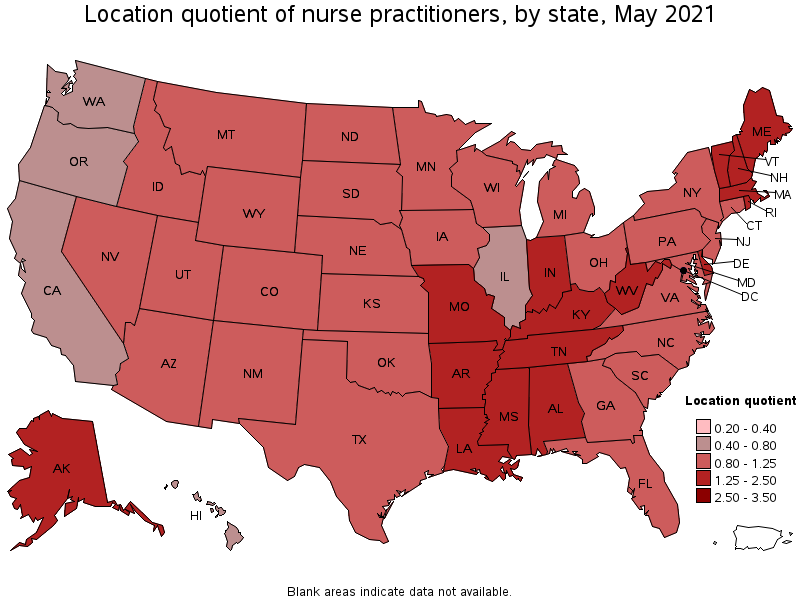 As a nurse practitioner, this is often the case, since many hospitals and other healthcare facilities are hiring nurses in these advanced positions to take over some tasks traditionally done by doctors. Clinical Nurse Specialist: A clinical nurse specialist (CNS) is an advanced-practice nurse who provides care to a specific age group or health concern. CNS salaries range from $62,985 – $106,133. Nurse Anesthetist: A certified registered nurse anesthetist (CRNA) is a trained expert with advanced skills in the organization and management of anesthetic agents. CRNA salaries range from $80,123 – $171,695. Nurse Midwife: A certified nurse mid-wife (CNM) provides prenatal, intrapartum, and postnatal maternity care to expectant mothers, they also offer gynecologic examinations and often prescribe medication. CNM salaries range from $67,222 – $100,640. General Nurse Practitioner: A nurse practitioner (NP) offers patient care in various sub-specialties such as cardiology, infectious diseases, rheumatology, primary care, pediatric oncology, among other areas. NP salaries range from $57,810 – $100,289. Clinical Nurse Leader: A clinical nurse leader (CNL) steps into a leadership role by overseeing patient care and casework management while also motivating staff to perform at high expectations and standards. A CNL salary starts at $76,000. Nurse Administrator: A nurse administrator is typically high-ranking or the head nurse at a hospital or health clinic and they are responsible for various administrative tasks while providing managerial support to an entire department. A nurse administrator salary starts at $77,000. Nurse Educator: A certified nurse educator (CNE) trains new practitioners in a clinical/field setting, develops a curriculum and other instructional strategies. A CNE salary starts at $73,000. Nurse Manager: Nurse managers are accountable for both administrative and nursing roles by directing and monitoring staff as well as managing patient care. A nurse manager salary starts at $80,000 . With your MSN degree, the sky really is the limit when it comes to finding a job you love with a salary deserving of your time and educational level. Remember, some employers even pay for you to go on to get your doctorate with tuition reimbursement programs, so consider all of your job options carefully before you accept an offer. Visit our list of accredited schools and degrees to find an MSN program that meets your needs, and begin your career training today.